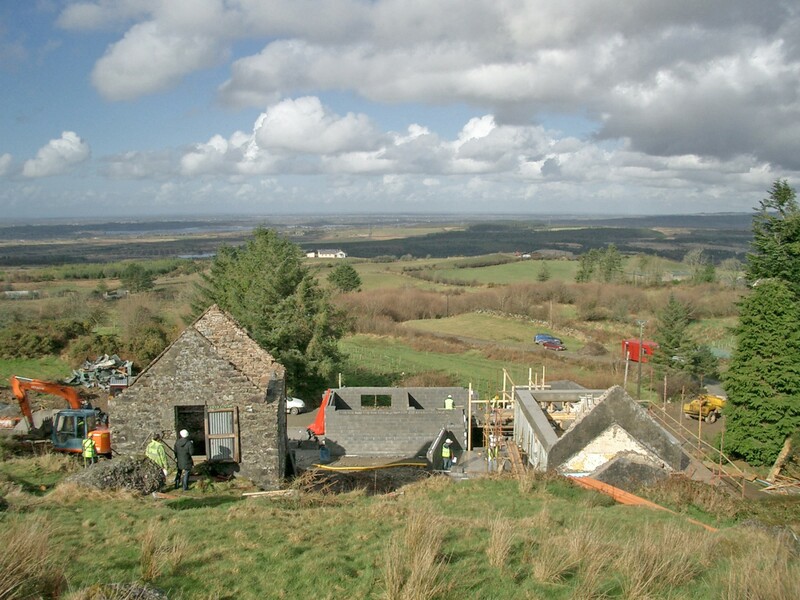 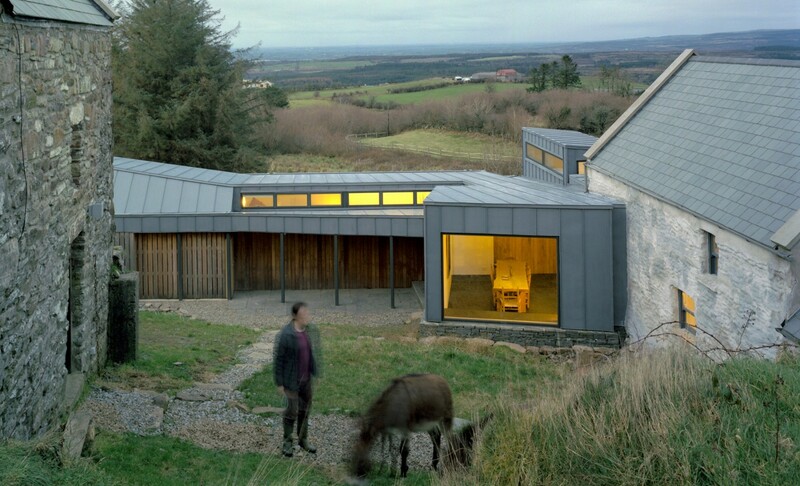 The farmhouse is set on a mountainside looking out across a vast, open valley towards Galway Bay. 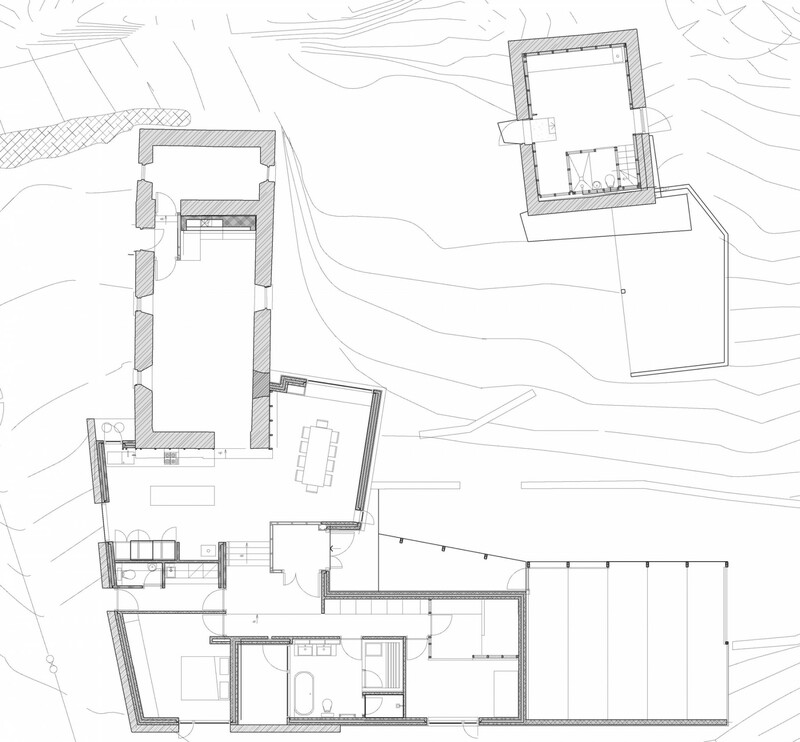 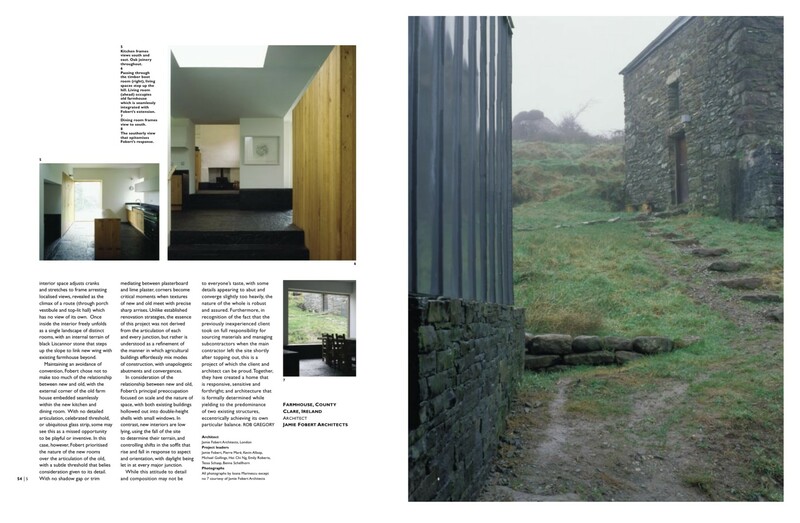 The original grouping of a cluster of barns and a small stone cottage was retained and extended. 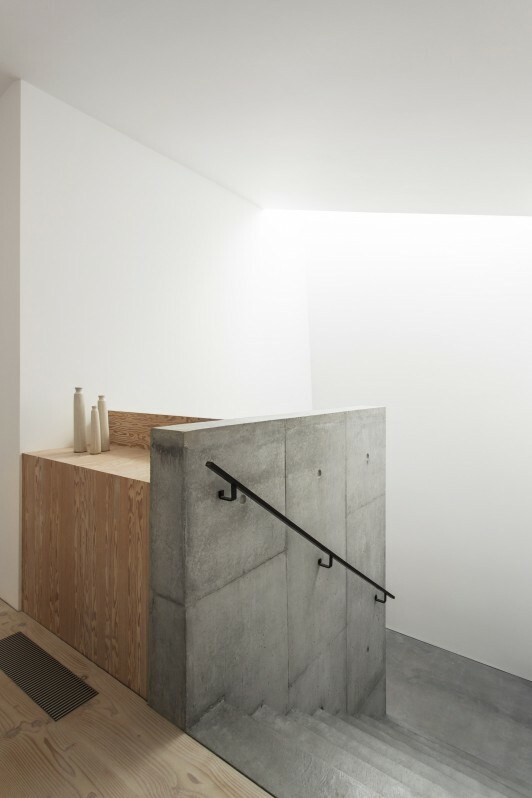 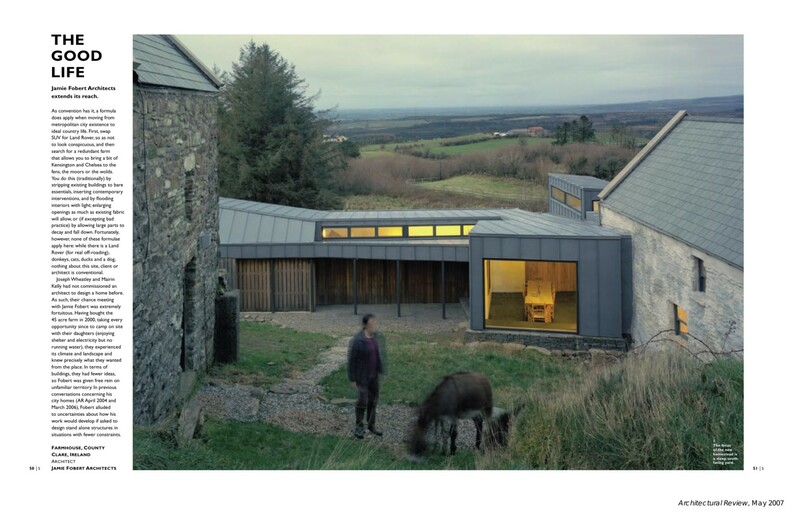 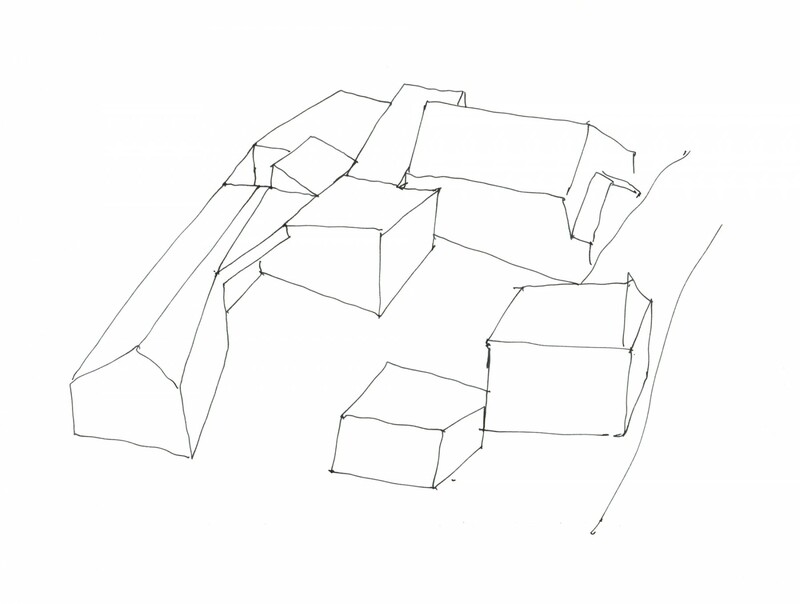 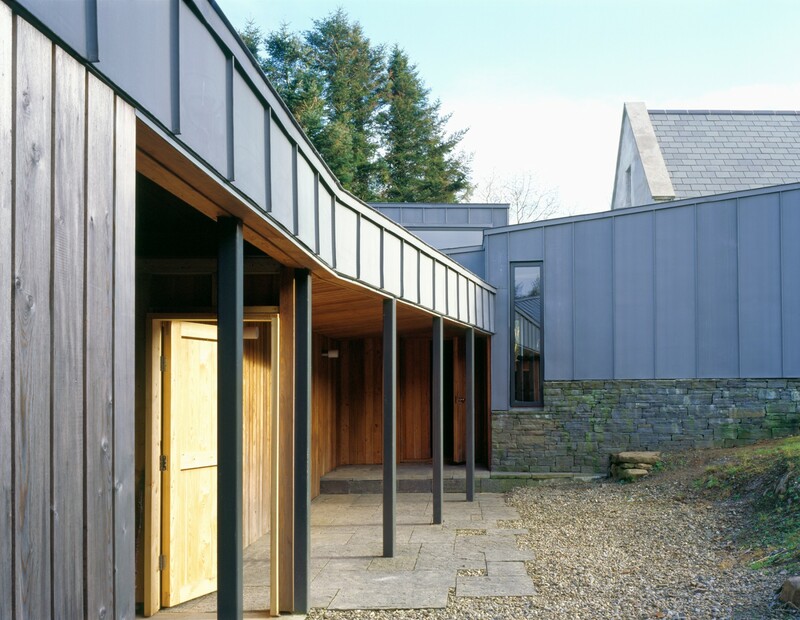 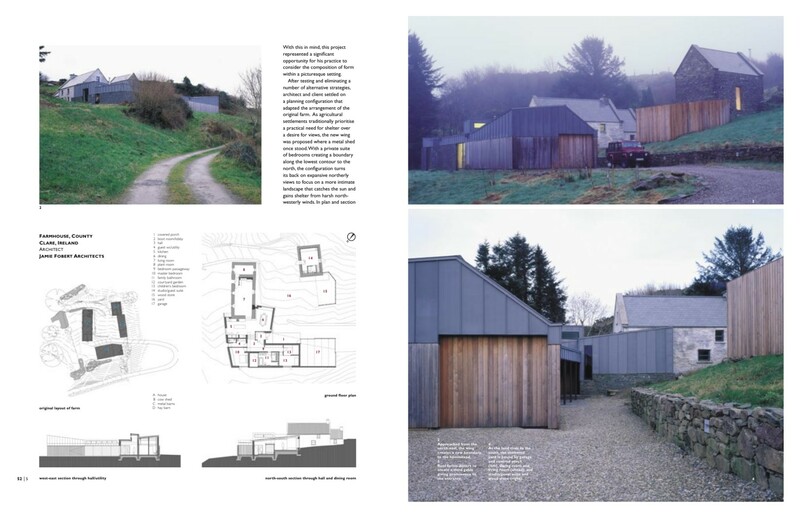 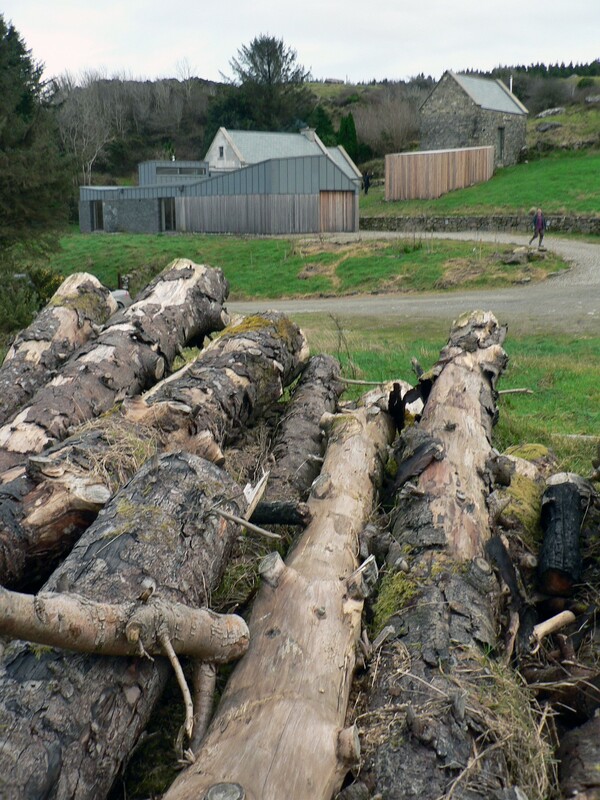 A new house, clad in timber and zinc, was designed to connect to the old cottage then step down the hill in a sequence of volumes, completing the irregular geometry of the site. 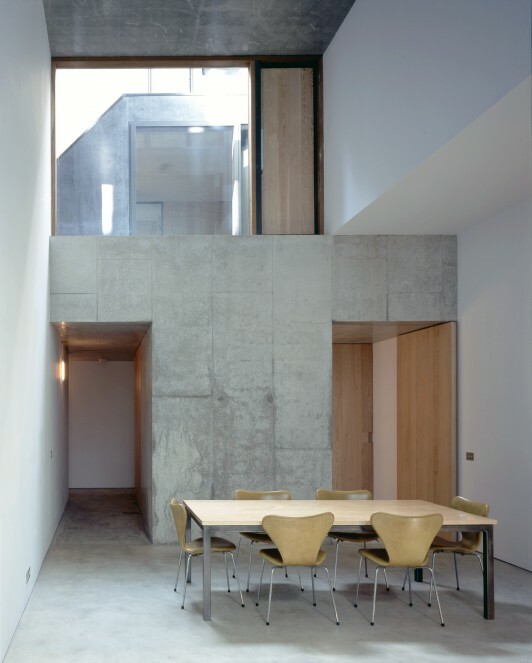 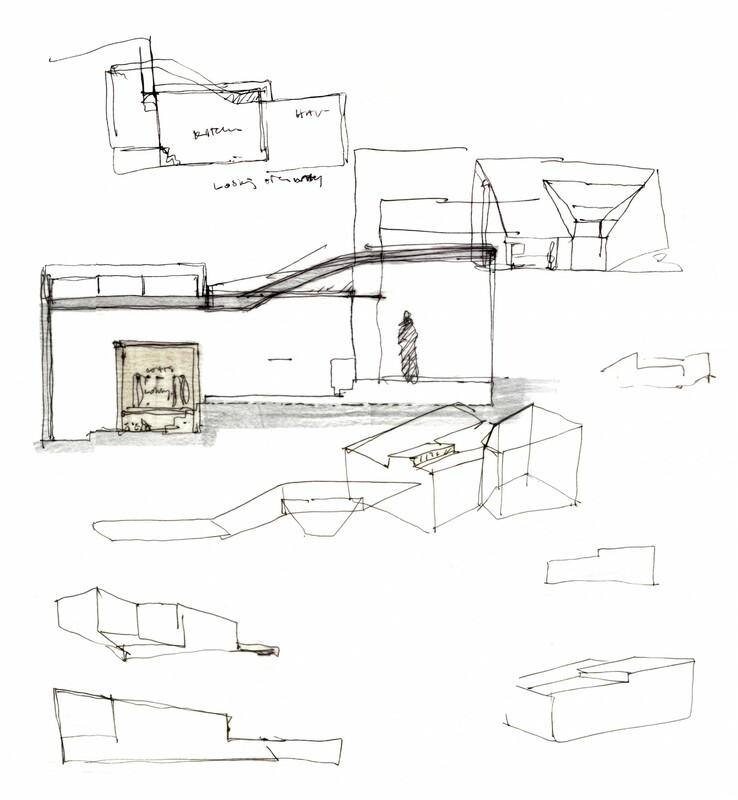 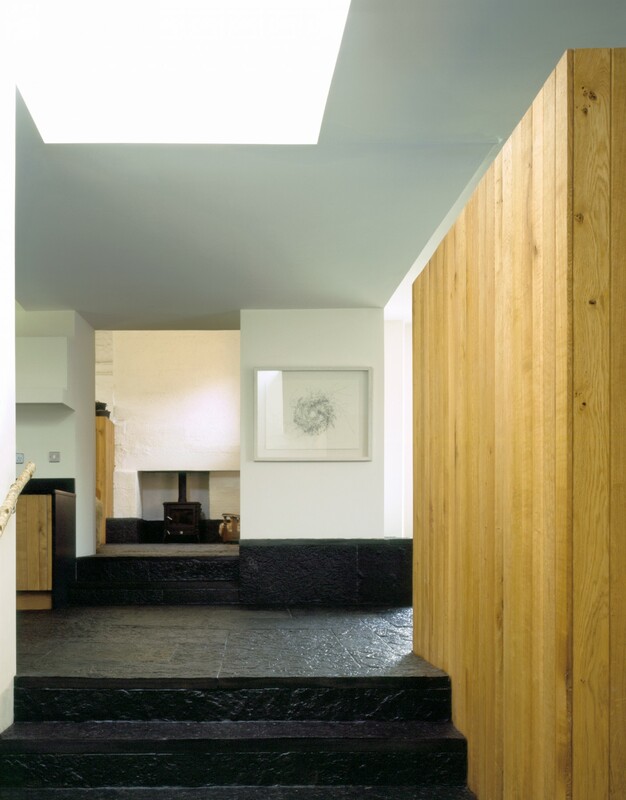 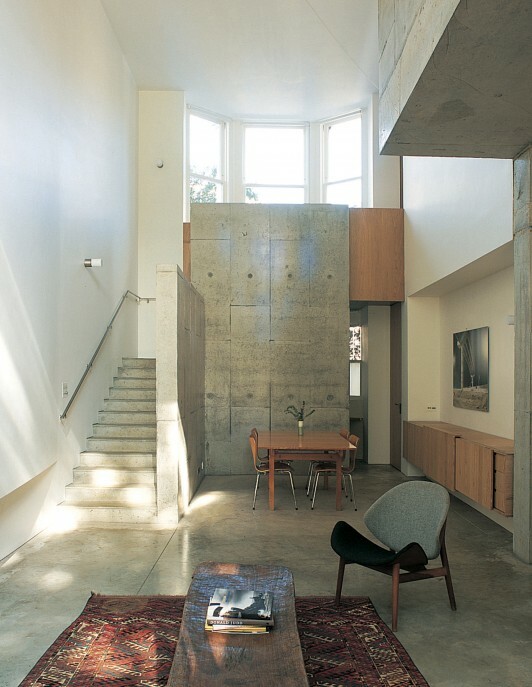 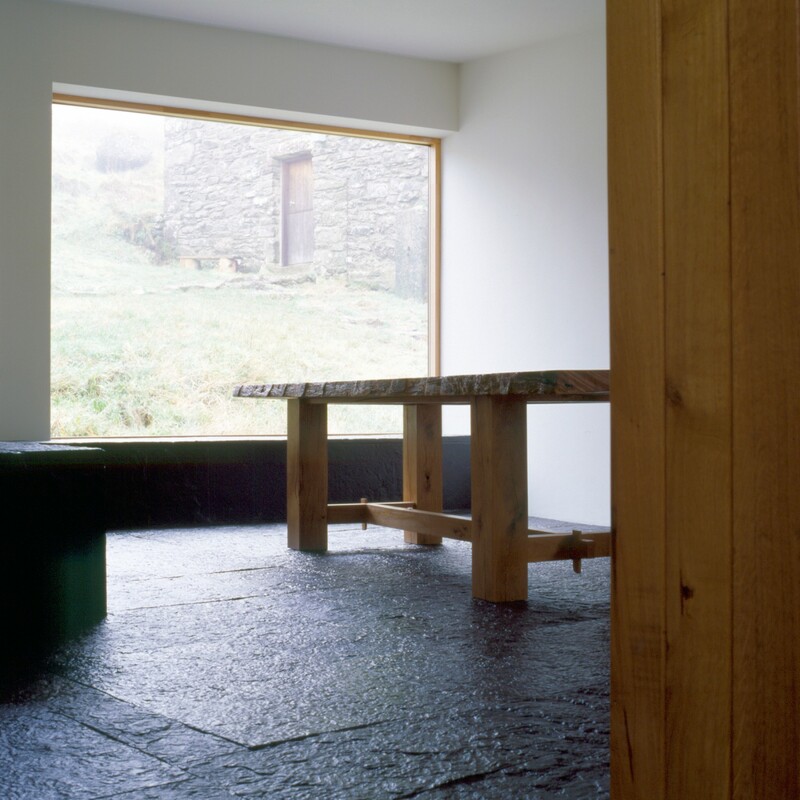 Internally, each room was designed to capture a view of the surrounding countryside; moving through the house there is a constant variety of light conditions and connection to the land. 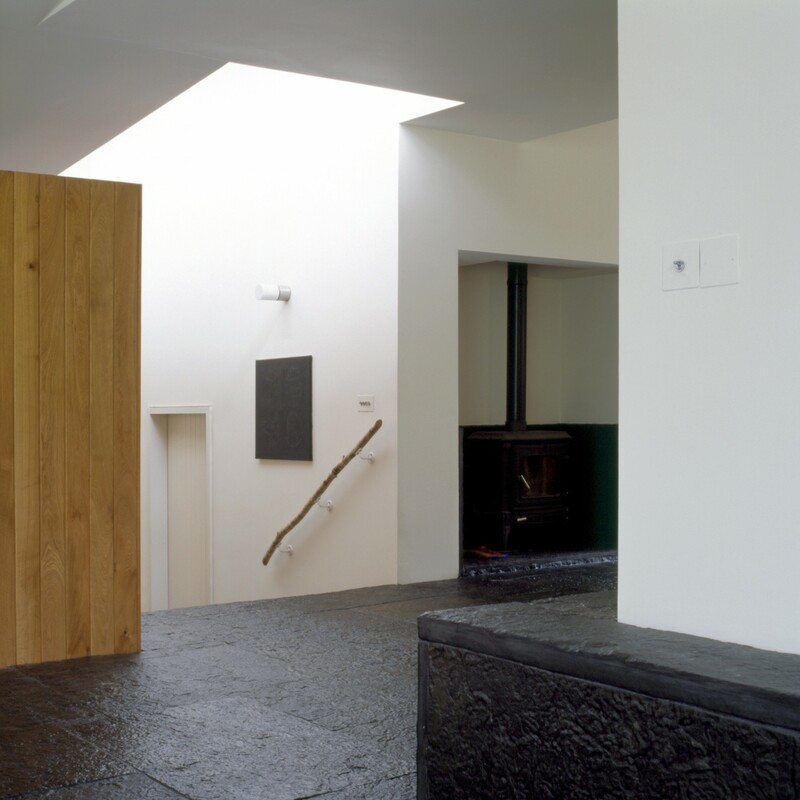 Detailing was simple and clean and made use of local materials, craftsmen and labourers, including the client and family. 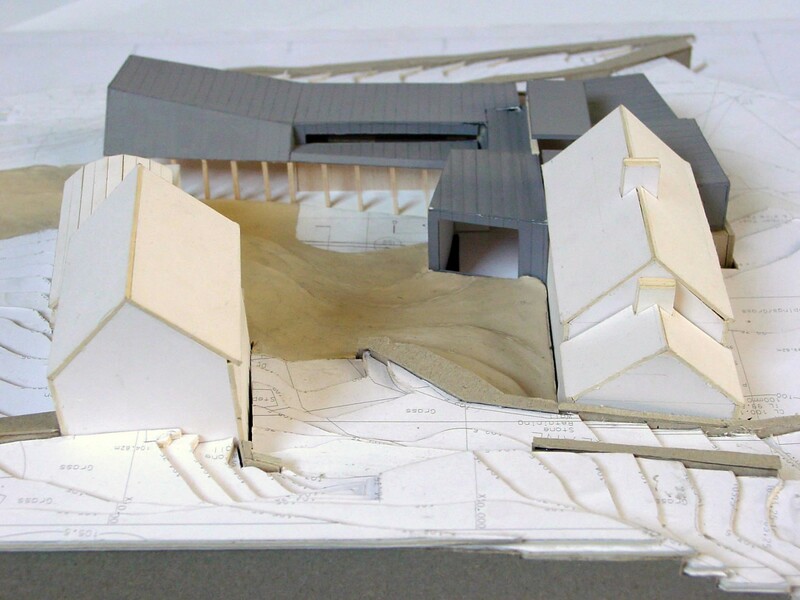 Exterior form was driven by the interior. 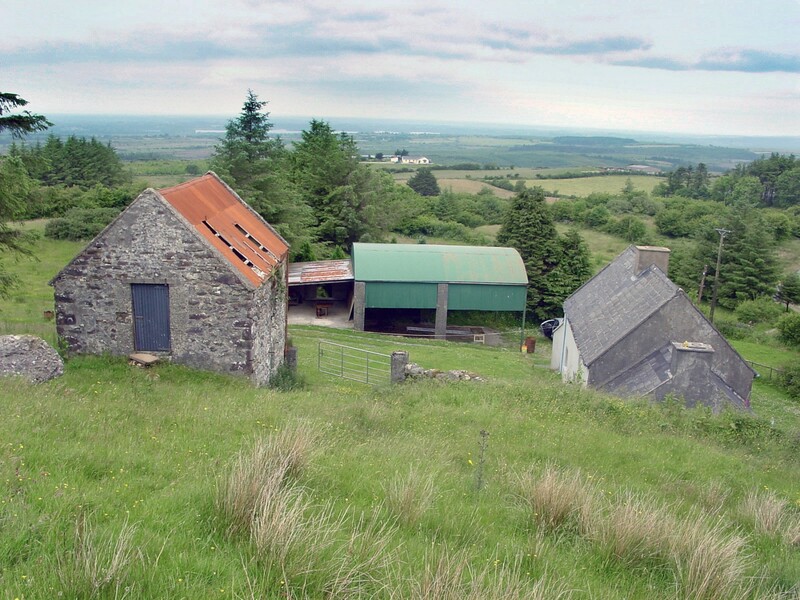 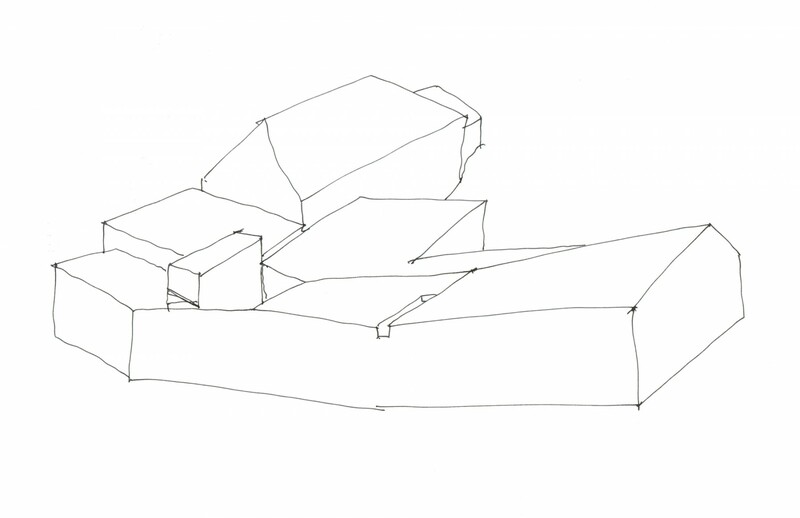 Shed-like external forms maintain the rough, rural nature of the site. 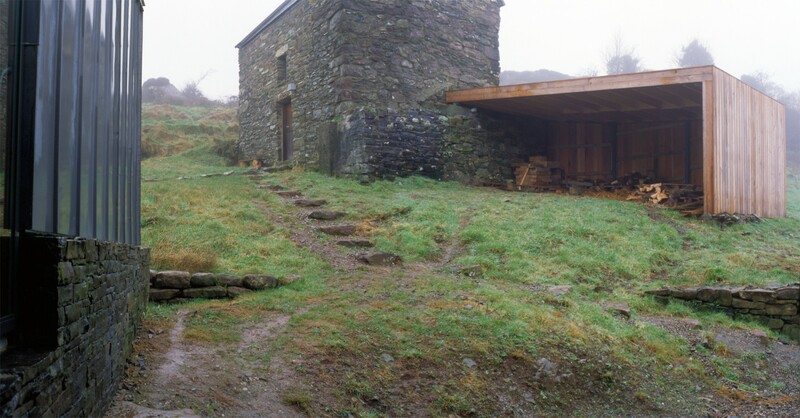 The dark stone floor, patterned with prehistoric centipede trails, came from a small quarry nearby at Licannor.